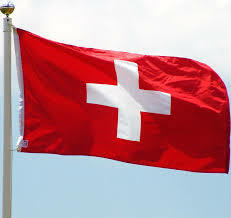 Swiss voters clearly and massively approved the reform of Swiss gambling law. The new law formally legalises online gambling in Switzerland but only allows local operators with a land-based presence in the Swiss gambling market to operate online betting. Offshore betting companies will not be allowed to provide their online gambling service in Switzerland, with IP blocking measures foreseen. The legislation proposes measures against addiction too. The proposal received 73% votes in favour.GLMS President, Ludovico Calvi states: “We highly welcome this result and it is very positive that Swiss citizens understood the importance of a safe, well regulated environment, supported by measures against illegal betting, as also required by article 11 of the Council of Europe Convention on the Manipulation of Sport Competitions. This development will further pave the way for Switzerland to ratify and start implementing already the provisions of the Convention, including the setting up of a national platform".GLMS General Secretary, Giancarlo Sergi, adds « As a Swiss citizen with a long-standing involvement in Swiss sport, I am glad that thanks to this result, Swiss sport of all levels will keep its significant support coming from the Lotteries, on which it relies heavily upon for its sustainable future ».